Beachcomber Island Resort offers accommodation from dormitory style to bures located directly on the beach front. This relaxed Fiji accommodation is set not far from the mainland and offers a unique island experience for those travelling on a budget or after a true island experience. The resort is surrounded by sparkling blue water and sandy beaches - the perfect place to enjoy snorkelling, swimming or relaxing and making new friends from all over the world! Beachcomber Special: Over 30% OFF + Free Upgrade! Situated on a marine sanctuary in the heart of the Mamanuca group of islands, Beachcomber Island Resort is a renowned barefoot island paradise allowing you to do as much or as little as you like! 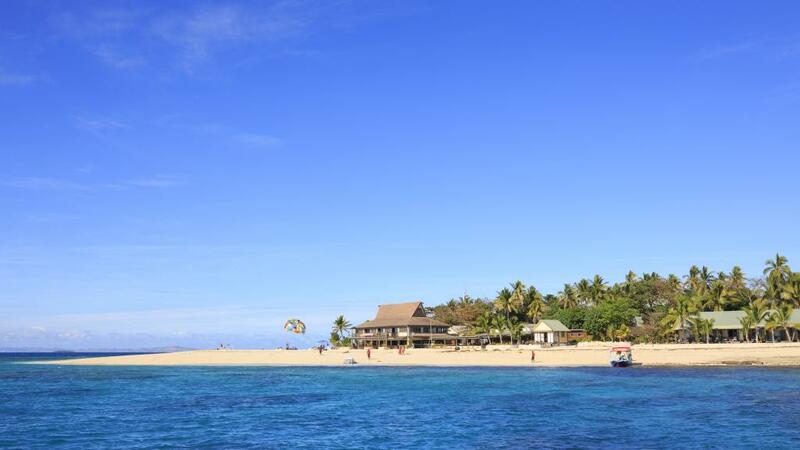 Beachcomber Island Resort is perfect for those travelling on a budget but still wanting to experience island life in Fiji!